Bad Dad sent along this wapost link. We are both big admirers of Stacy Abrams. She's right. Our work has just begun. The law, as it stands, says that [Kemp] received an adequate number of votes to become the governor of Georgia. And I acknowledge the law as it stands. I am a lawyer by training. And I am someone who’s taken a constitutional oath to uphold the law. But we know, sometimes, the law does not do what it should and that something being legal does not make it right. This is someone who has compromised our systems. He’s compromised our democratic systems. And that is not appropriate. ...because the words I use are very specific. 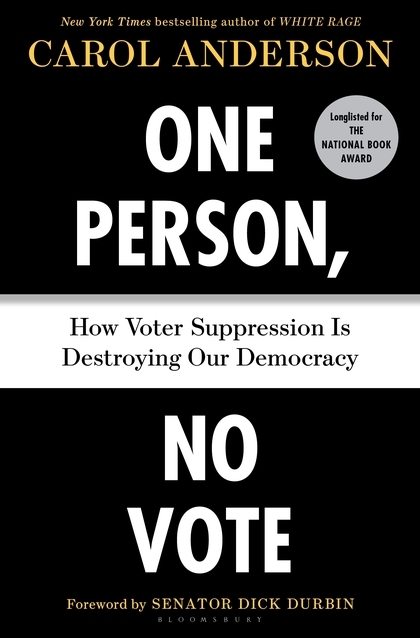 We have had systematic disenfranchisement of voters. We have seen gross mismanagement of our elections. And we have seen an erosion of faith in our democracy in our state. Those are all true facts. But these are all solvable problems. And that’s why I’m proud to be an American. That’s why I’m proud to be a Georgian. And it’s why I’m taking up Fair Fight Georgia, because faith is not enough. We have to have action married to that faith. And I don’t believe that you are trying to cast aspersions or cause me to say anything, but what I am being clear about is that I’m choosing my words very carefully because words have meaning. . . . I'm currently reading Carol Anderson's One Person, No Vote and it is so upsetting, I have to take time off to read fluff to calm down. None of this is new. 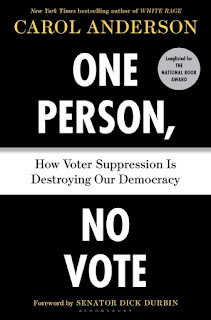 Disenfranchisement is a long game, starting with the senate composition enshrined in the US constitution. Why does Wyoming, Vermont, North Dakota, South Dakota, and Alaska get two senators each (10 total!) while Puerto Rico gets none? PR has slightly more people (3.37 M) than those 5 states combined and gets no representation. The senate, through it's control of the judiciary and other high level posts, wields an inordinate amount of power. Remember, slaves counted as 3/5 in the census for the apportionment of House of Representatives seats, but got no votes. This was designed to give slave owners more votes in setting policy for the entire country, not just the slave states. I grew up in California and thought that the laws I grew up with apply throughout the country. For instance, we get 2 paid hours off to vote. Did you know that, in many states, you can be docked pay or fired for taking time off to vote? That's why early voting on weekends and voting by mail are so important. Last year, I read professor Anderson's well-researched and logically explained White Rage. I highly recommend it. 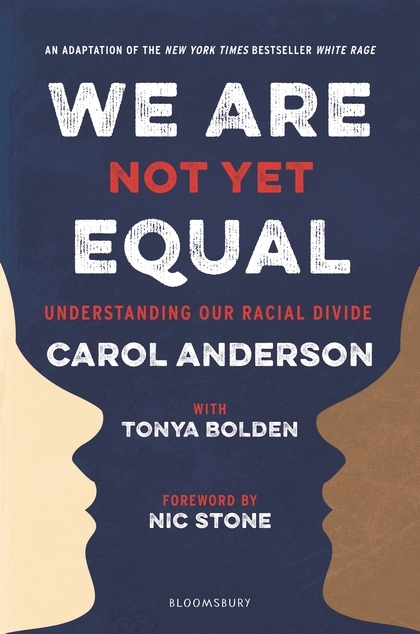 I'm heartened to see that she wrote a version for young adults, We Are Not Yet Equal. Enough for now. I'm fired up, but I must remain hopeful enough to be productive. I finally seamed up a sweater and it's beautiful. Pictures to follow.